Apple always comes up with fantastic modifications and improvisation of its gadgets and devices. People get bedazzled every time when a latest Apple gadget hits the ground like a bolt from the blue and make a notable addition to Apple series. All the hearsays proved right when Apple iPhone 5S was launched lately followed by its sibling Apple iPhone 5C. Apple iPhone 5S is comparatively more active in its performance than the previous version of Apple iPhone 5. There are distinct alterations in this iPhone with iOS7 operating system, a way better iSight camera, refined finger print sensor and extremely classic outlook. It will be no surprise for the buyers because Apple never let anyone regret its purchase. Its featherweight really worth the cost that varies from $199 for 16 GB, $299 for 32GB to $399 for 64GB of Apple iPhone 5S. Its big screen is truly making the touch experience heaven on earth. The long batter time will help you too! So people never mind ignoring other cellular brands of course it’s better to be safe than sorry; and when Apple has the charisma with quality, no one would go after any other than this. 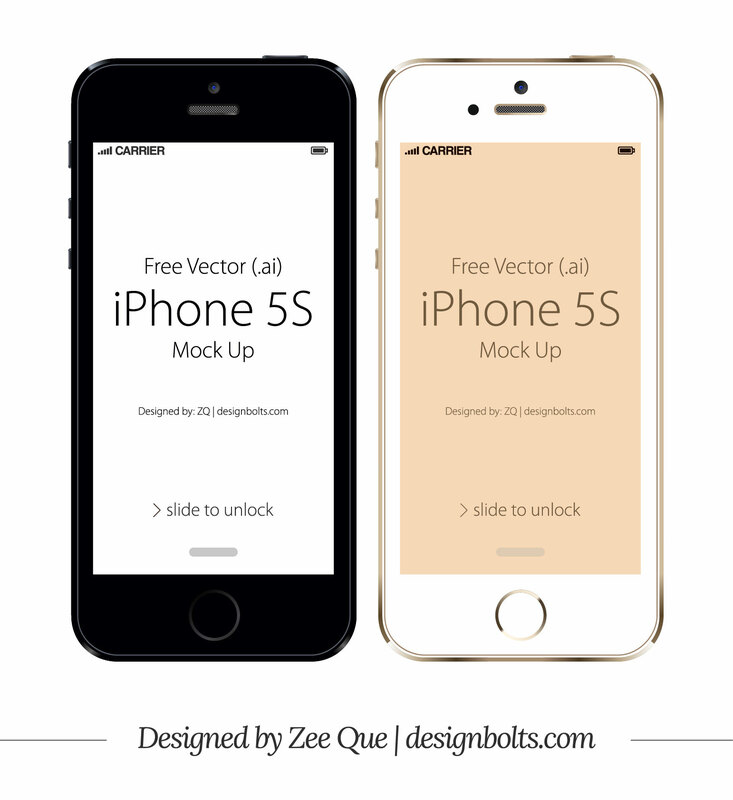 Today I am giving away free Vector Apple iPhone 5S that you can use in your projects. Catch the shot down here!